Vocation stems from the Latin term “vocationem”, which literally means “a calling”. 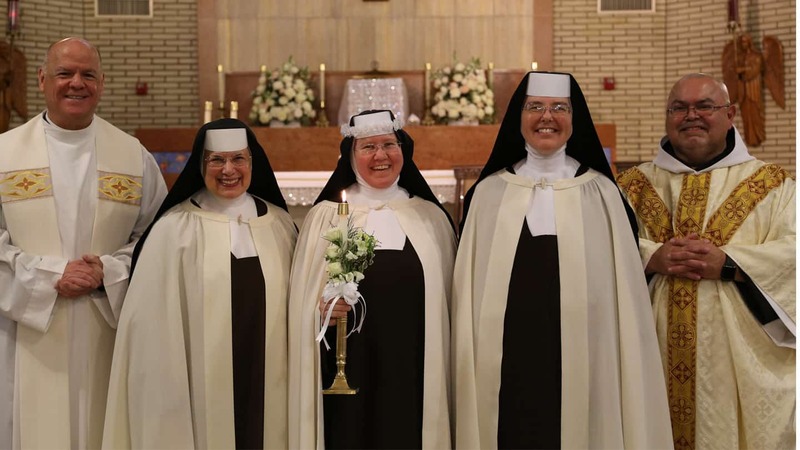 We wish to offer you some reflections from the sisters making their final profession in 2019, as well as the beautiful stories from their parents. 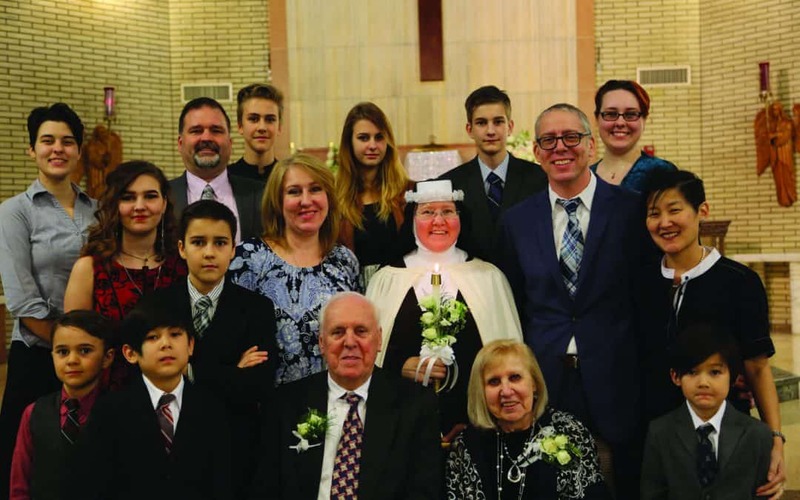 Sister Marie Andre made this important step on January 13, 2019. These first words of the vows I will profess on January 13, 2019, encompass all of my desires, the deepest desires of my heart. 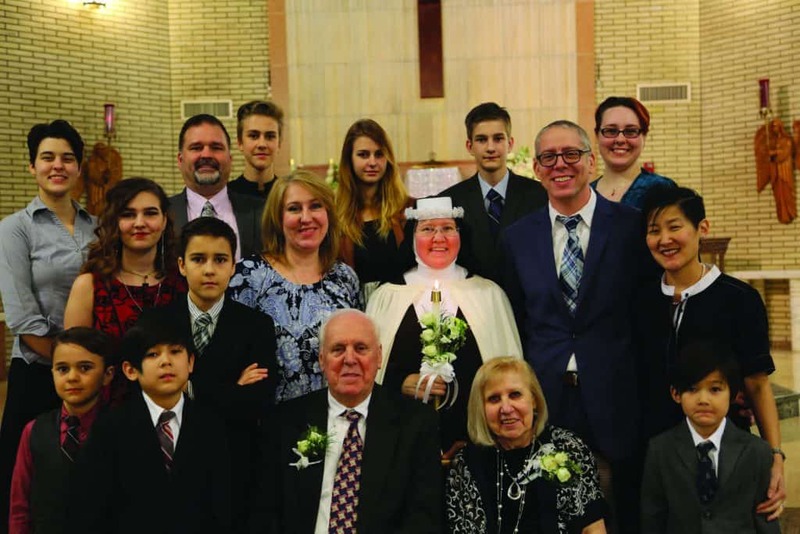 These desires were planted long ago when at three weeks old, I received the Sacrament of Baptism, it was then that I received the grace of vocation (like all of the Baptized, we receive the grace of vocation at Baptism). These graces, lying dormant throughout the course of my life, our Lord has now brought to fruition, what I have been waiting and caring for all the years between. Now, I realize, and those who know me best realize, that this day of a perpetual profession of vows to our Lord is nothing short of a miracle. Which proves to me that this is totally God’s work, not mine! In fact, if left on my own, there were times when these graces were neglected and at other times almost died, nevertheless, they didn’t because our Lord would not let them. Our Lord’s timing is perfect! I sense that there is so much within me ready to blossom forth at the peak of forever. My heart beats as one with my Bridegroom, Jesus. Together we are united forever. Jesus will take all that I am offering Him to bring about the salvation of souls and to serve His Church. Father: When Sister Marie Andre told me of her plans to enter religious life, at first I felt the sting of thinking I wouldn’t see her again. But I told her I would support her in whatever she did, life is short and that we will spend eternity together. I’m so proud of her. I have her picture on my phone and I ask everyone I meet: “Have you met my Carmelite? – or – “This is what a Carmelite is…”. A lot of people today don’t get a chance to see a religious sister or brother and I love to share her vocation with others. When Sister Marie Andre came here for her family visit, so many people were excited to meet her in Church and in the school. We’re experiencing that her vocation is not just for her, but for the Church. Mother: Sister Marie Andre, Dave, and I had started taking classes at our parish on a book by Father Dubay called Fire Within, which is based on the Carmelite spirituality of St. Teresa of Ávila and St. John of the Cross. When she told me of her intentions to enter religious life, I was not surprised. I started to pray with extra fervor and intensity for her vocation. Along with her journey, Dave and I decided to become secular Carmelites and we feel so blessed to be able to walk along with her in our Carmelite spirituality. Now, it is so wonderful. The Sisters pray for us and we pray for them every day. There’s so much love in this whole thing. I feel like I have received so much love that I have more of it to give away to everyone I meet.